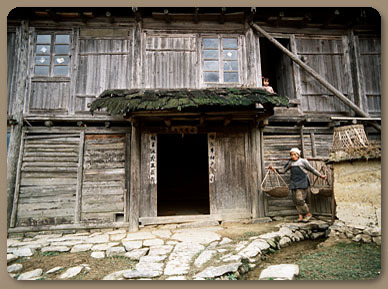 Miao dwellings, Ailing village, Guangxi province. The Miaos are a non-Han minority. The ground floor of the building is taken up by stables, with the human occupants upstairs. This Miao woman is returning from a small adjoining vegetable garden.